*bursts into your kitchen and smacks the pizza from your hand* NO MORE EATING UNTIL YOU BUY THIS SPICY AMBROSIA! So I have some bad news, everybody: We've been eating totally wrong this ENTIRE time. Dramatics aside, it turns out pretty much any food on earth tastes waaay better with a little bit of Mike's Hot Honey. That's right — honey. HOT honey!! Honey infused with chili peppers! HECK ya!!! This thing is a frequent best seller among our readers and with good reason: It's freaking delicious. Remember that scene in Ratatouille when Remy combines the cheese and strawberry to create a whole new flavor? It's kind of like that. Combining this honey with your favorite foods takes them to a new level and adds an extra dimension. Who doesn't love a good sweet and salty combo? And then the spicy kick at the end makes everything come together. I got a bottle of this beloved honey and proceeded to pour it on everything I ate. No regrets!!!! It's delicious on pizza, empanadas, tacos, burgers, chicken sandwiches, and CHEESE! This is a must for a good cheese plate. It's a little hot, but it's not overbearing, so it serves more to enhance flavors than to burn your mouth. 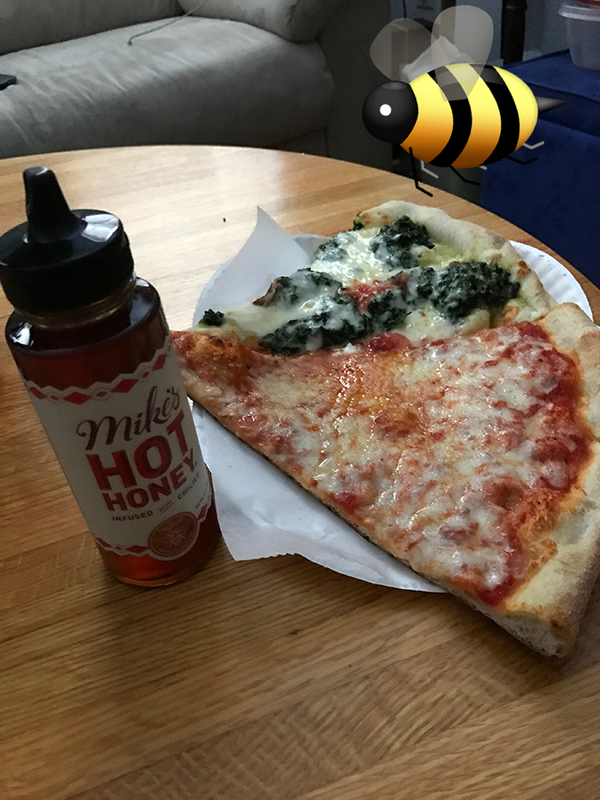 Adding Mike's Hot Honey to your meal elevates it to the next level without making you feel like you're just eating a bunch of honey. It manages to blend in perfectly with whatever else you're eating. It's not honey on pizza; it's a delicious salty and sweet slice with just a little bit of heat. It's also great on sweet stuff! The spicy bite tastes amazing on ice cream and brownies. I also tried it in a margarita and it was awesome. I replaced the agave syrup with Mike's Hot Honey and then rimmed the glass with Tajin. It. Was. Amazing. Get your own bottle of Mike's Hot Honey from Amazon for $8.06. You can also get 12 individual squeeze packs for $16.86 or three mini jars for $21.75. And, inevitably, you'll want to snag a gallon jug for $93.08. See even more products and merch on the Mike's Hot website.